Gorgeous stucco and stone home built & maintained to perfection in a highly desired and gated neighborhood. David Weekley Plan: Jeffries. 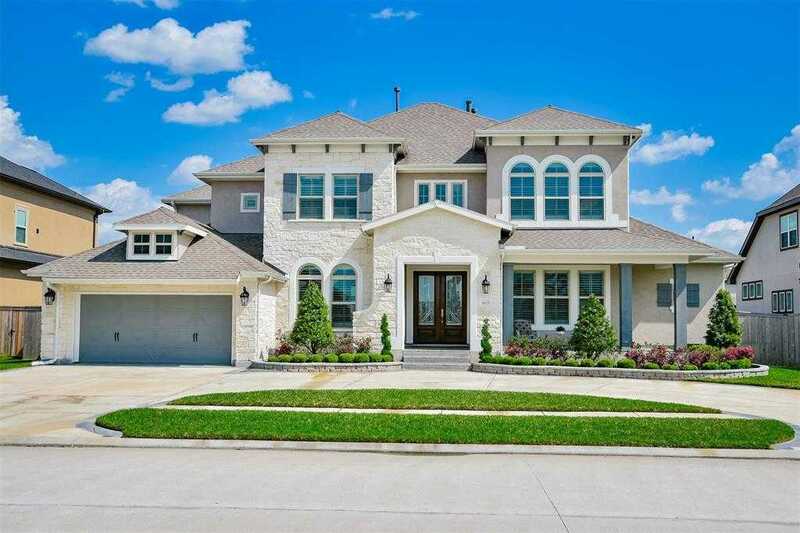 Huge 5-bedroom, 5.5 bath, 3 car garage home. Exquisite details to be seen & appreciated. Ample closets & storage areas. Epoxy Garage floor. Pool added in 2017. Carpet upgraded in 2018. Open concept gourmet kitchen w/ upgraded stainless-steel Electrolux ICON appliances, 6 burner gas range, & 84×60 Thermador refrigerator/freezer. Oversized granite counter & serving bar. A pantry you will love. Breakfast area overlooks backyard. Beautiful master suite w/large walk-in closet & spa-like master bath. Plantation shutters. Large media & game rooms. 2 patios: 1st patio w/ custom built pergola, fire-pit & stunning pool w/ upgraded pool lighting & water bowls all controlled w/ your app. 2nd patio w/ its own custom built garden. Acclaimed FISD w/bus pickup at gate. Convenient to all FISD campuses. Low taxes and no MUD in Sterling Creek. Never flooded.